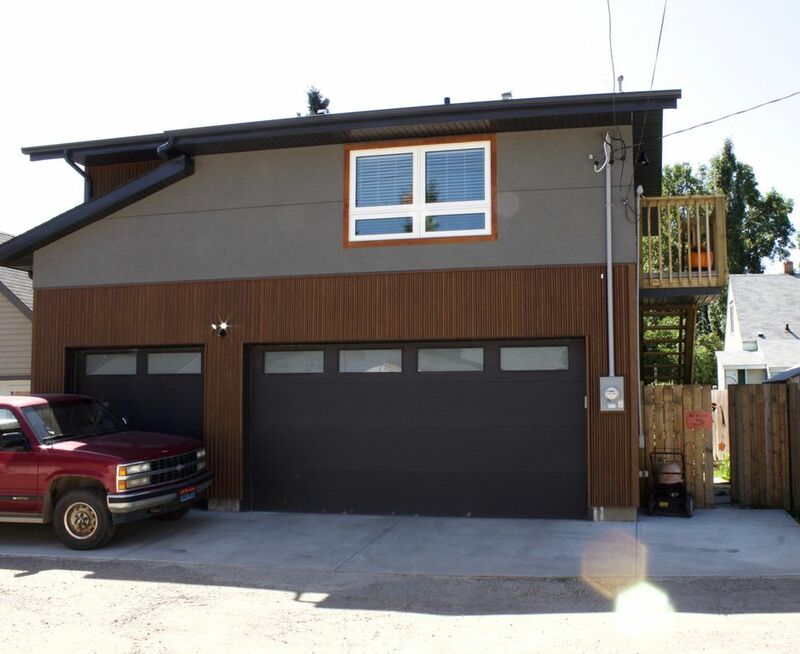 New loft garage suite close to Whyte Ave & University. Quick access to Downtown. Please be advised that the site you may be viewing, might be in US currency, if you inquire regarding certain dates, a quote will be forwarded to you, for review before booking. New updated 7 nights discount of 20% and 28+ at 40% off daily rates. This New Open Concept 640 square foot loft sleeps two comfortably on a queen sized bed, but can accommodate four if need be, with two children on the fold out couch. This unit is detached from the principle dwelling and is accessible from the alley via its own outside gate and stairwell. Complete with new furniture & appliances which include couch, bed, television, fridge, stove, dishwasher, washer and dryer. A full bathroom with shower/tub combination, where you can relax with a long soak after your day. You are welcome to share our fenced yard if you have a pet you would like to bring. Located in Ritchie, this suite is close to Whyte Avenue, Strathcona, Bonnie Doon and the University of Alberta. Groceries are within walking distance, or you can walk a block to the new Richie Market which contains: Acme Meats, Transcend Coffee, Bike Rental and a local craft brewer, Blind Enthusiasm, housed within the restaurant Biera. On the other corner is a convenience store, The Blue Chair restaurant and other small businesses. Close to the Mill Creek Ravine off leash dog park, walking trails and paved bike paths. Quick access to the river valley. The location is ideal if you don't have a car, as bus stops are only steps away from your door. Only street parking is available if you have a car. This is a city approved legal suite. Here is my partner Kelly with our dog Koben off for another walk in the ravine. toilet, combination tub/shower, Has pocket door for privacy. Hot water heating with towel warming rack in bathroom. Dining area is along concrete countertop island. Must be able to climb a long flight of stairs. My wife and I spent nearly 2 weeks here. The suite is beautiful, the location is great, and the owner was always helpful and friendly. I would recommend to any individual, couple or small family. The only reason why I don't give a 5-star rating is that I'm not sure what qualifies as 5-star. Wade was great with the checking in progress. Stanley our little dog was made to feel very welcome. The space is very new, clean and elegant. Everything you need for a comfortable stay here in Edmonton. We had a hot spell here in Edmonton, so it did warm up the loft, even with the windows open. A fan of some sort would have been helpful but that doesn't take away from the gem that this place is! I had a wonderful 3 day stay in this delightful garage room that was practically brand new! Hosts couldn’t have been more friendly and accommodating! Evening we needed was there, all the comforts of home. Even though there is no ac, the place is well insulated, during our stay it was 28 degrees,and the room was as cool as if there was an ac running. We were in Edmonton for our son's wedding and to help move our daughter and her family so we stayed over a week. The studio had everything we needed. Bed was especially comfortable. Great value. Host was very helpful and accommodating. We loved our stay in the loft garage. New, clean, open bright space. The location has easy access to the mill creek trails. Great for off leash dog walks if you come with your pet as we did. Hosts checked in and made sure we had what we needed. Close to the Mill Creek Ravine off leash dog park, walking trails and paved bike paths. Quick access to the river valley.